I couldnt say enough good things about the convenience of being able to accept credit cards on site at seminars that we attend. Oftentimes we had to write out receipts by hand and then found out about the receipt printer offered by Usbswiper and it has helped tremendously. The system is easy to setup and works very well for businesses that are needing an all in one solution with one company. USBSwiper credit card verification and processing through our Club PayPal account has provided our Club a portable easy-to-use automated process for accepting credit card payments to replace our old manual method of card impressions requiring personal signatures and manual collection of telephone numbers, addresses and email addresses. 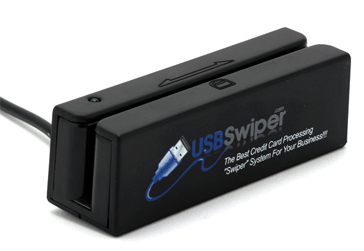 USBSwiper capabilities have saved us hundreds of hours of manual effort required to collect and deliver the manual card impressions to our Bank for processing. Manual effort to follow-up with customers whose credit cards were not accepted by our bank and loss of sales not collectible because of unauthorized credit cards has been eliminated. So far, our major use of USBSwiper has been for our major fund-raising events like our annual Christmas Tree Sales Lot located in a remote area. With broadband internet access from our Club laptop computer connected with the USBSwiper software, card-swiper and a printer we swipe credit cards that are authorized and processed for payment through our Club PayPal. Email notifications are received immediately for all authorized payments. Customers are provided a printed receipt for their purchase. Complete sales reports are available from the USBSwiper software and via our PayPal account. Based on our Club’s successful use of USBSwiper, our Rotary District 5150 has implemented USBSwiper for credit card processing at all District events for event fees.